Speakers, dates, and locations are now confirmed for the remainder of the BGS Professional Skills Series. Please find an updated schedule below, and be sure to keep an eye out for upcoming registration announcements. 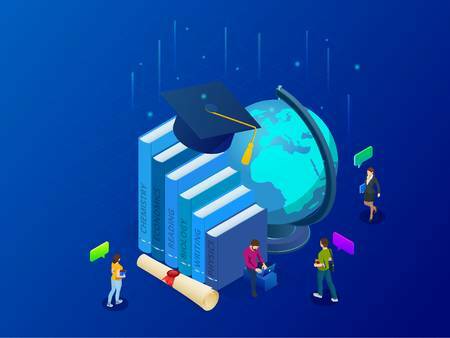 The NIH’s Office of Intramural Training & Education (OITE) provides a number of useful career development resources, including videos as well as guidance on resume and cover letter writing and a number of other professional skills. Students exploring careers in different industries might be especially interested in their guideline to informational interviews. 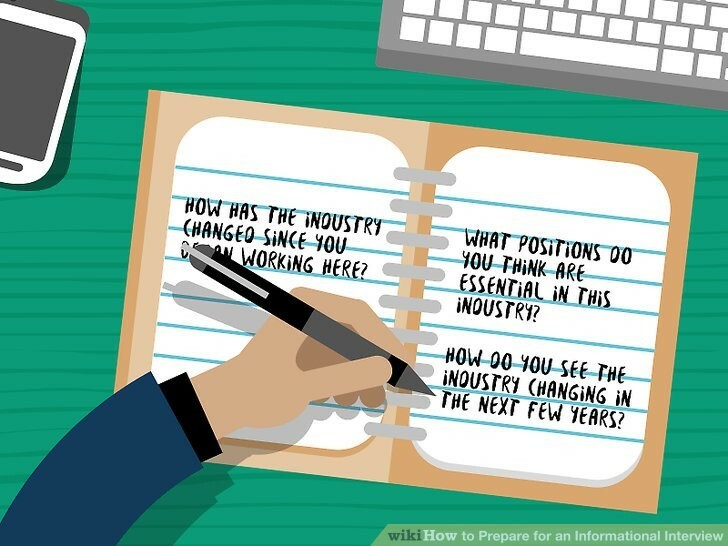 This document provides a definition of informational interviews, tips on how to request such a meeting, and a sample of general informational questions to ask. 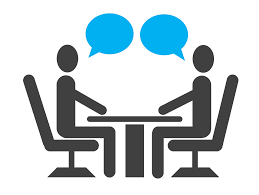 Informational interviews are one of the most effective methods of testing the water for any potential career as well as creating a useful network of contacts. 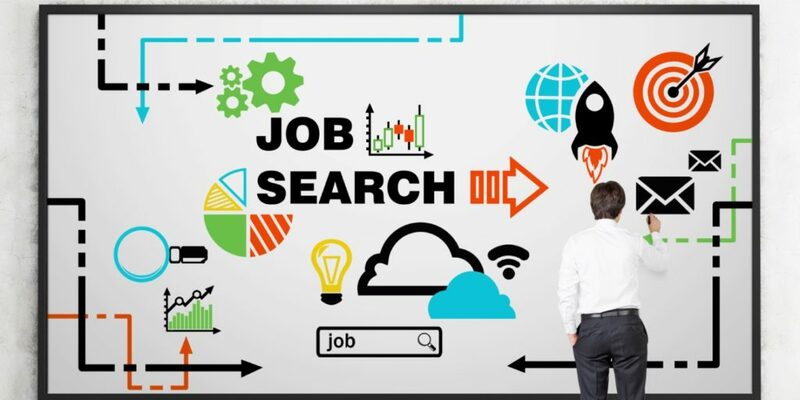 But there are tricks to finding the right people, asking for and conducting the interviews, and following up! 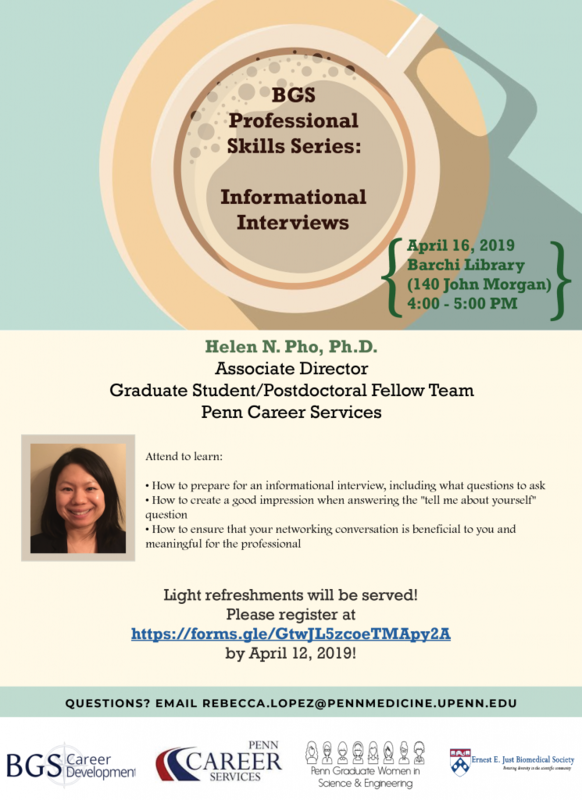 Please join us for the second of the Professional Skills Series: Informational Interviews – The 10 Do’s and Don’ts, to be given by Helen Pho of Penn’s Career Services. Who? 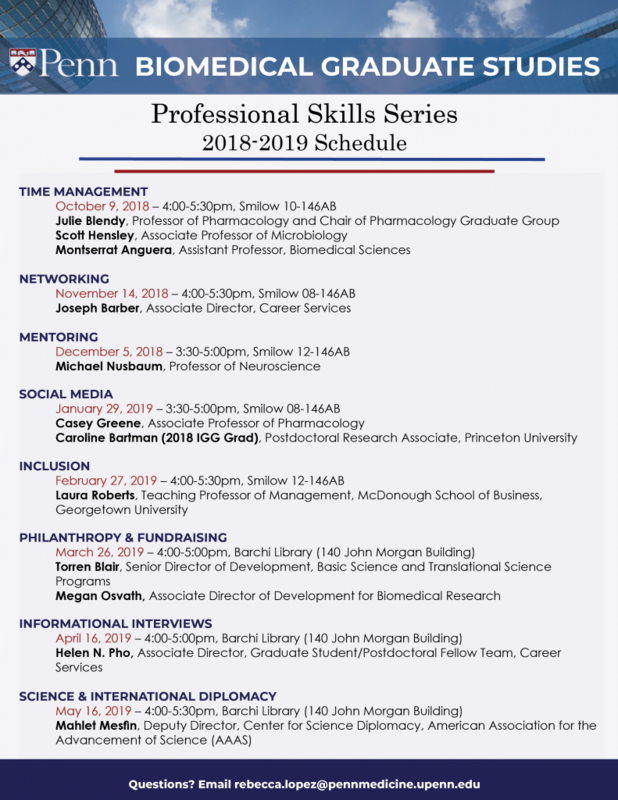 All students and postdocs in the biomedical sciences are invited. When? Tuesday, May 22, 3–4 pm.